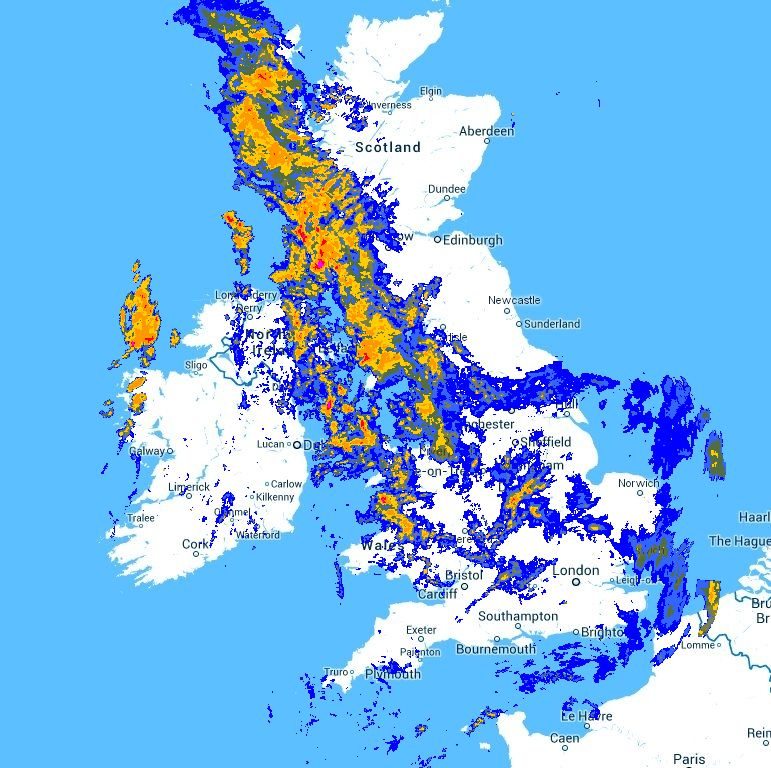 Rain across Northwestern areas of the UK this morning with scattered rain for Central areas. 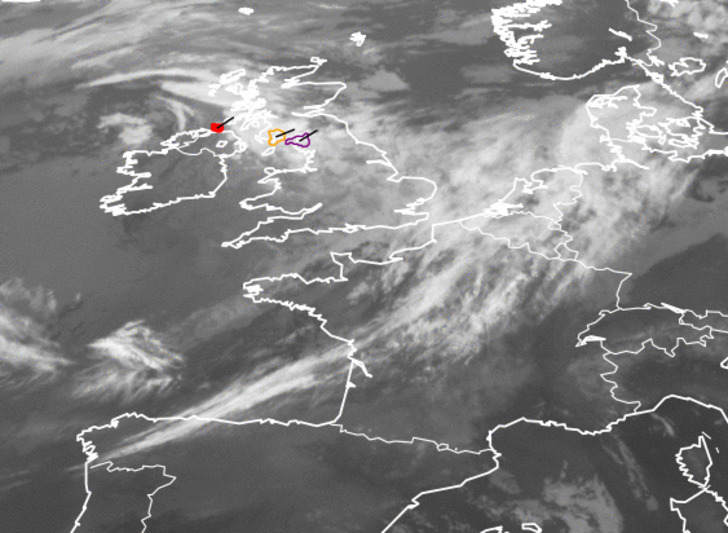 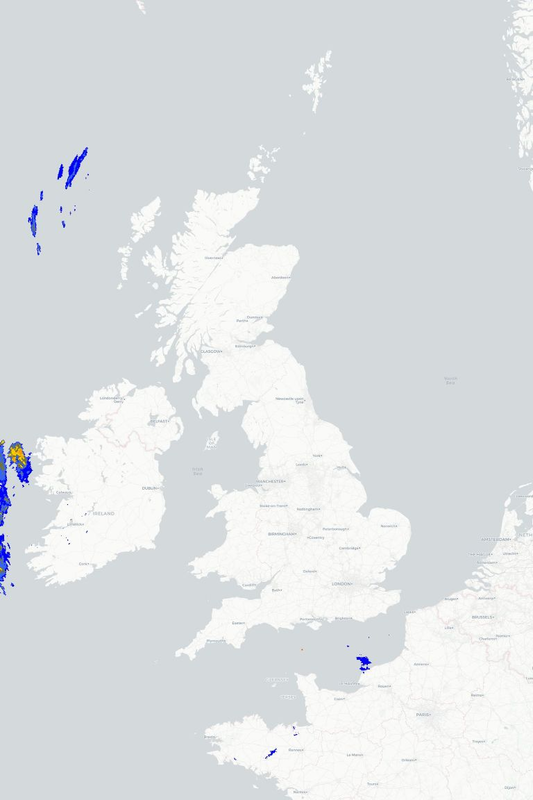 StormSat showing some developing heavy showers across Northern Ireland and Northwest England this morning. 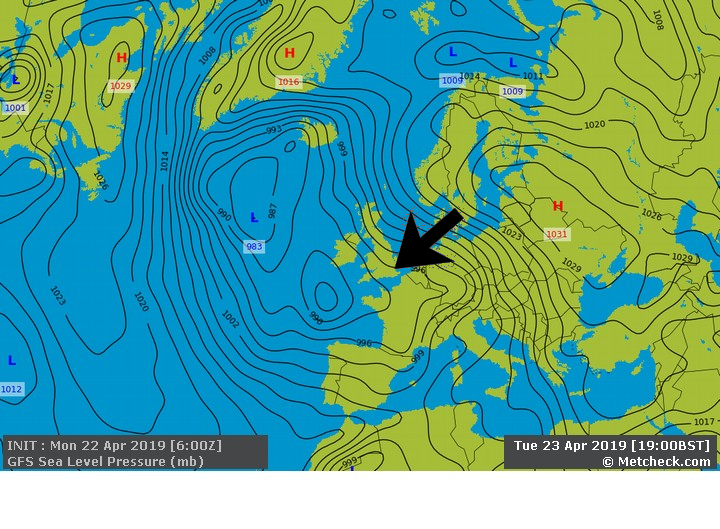 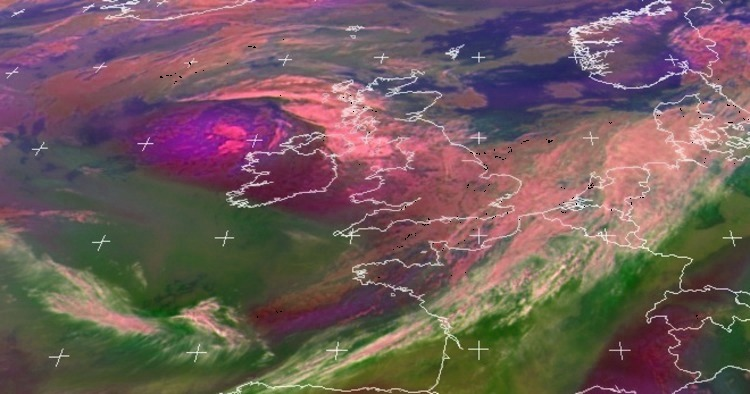 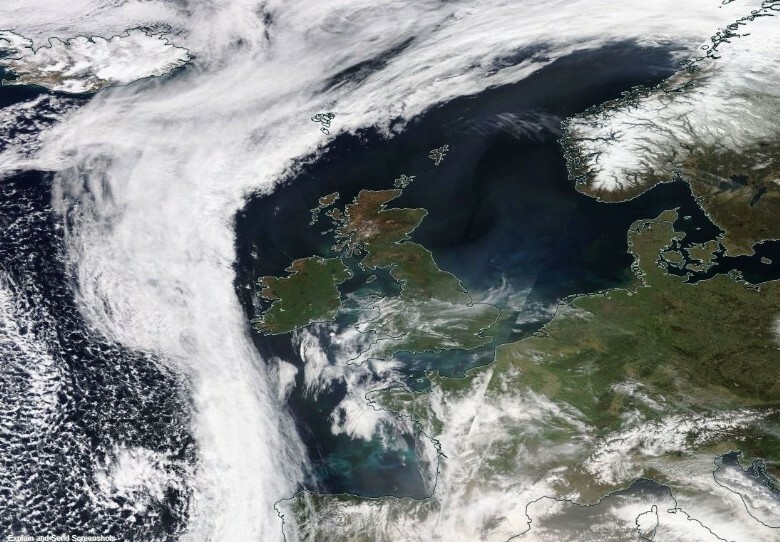 Airmass shows a bit of a mess, but you can make out the jet stream in pink which runs across the UK at the moment.